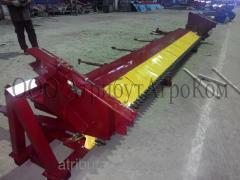 The device for soy from the Atributagro plant will provide you harvesting at the minimum losses. First of all this prefix easily in operation also does not demand special costs of time for its hanging of a harvester for grain your combine. By means of the device for cleaning of soy (FLEKS) you will be able independently to regulate height of the cut-off weight depending on a grade of the grown-up culture, even at undersized soy this prefix will be able to select the lower pod as the minimum height of a cut makes 30 mm that is important when cleaning this culture. Floating knives will allow to remove without loss the grown-up soy on uneven fields. 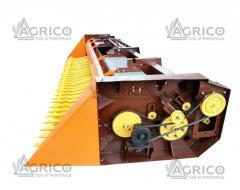 The device for cleaning of soy (FLEX) is aggregated with such grain harvesters as Klaas, John Deere, Massey Fergusson, etc. combines of import production, also with combines domestic the Slavutich and the Vector, Don. 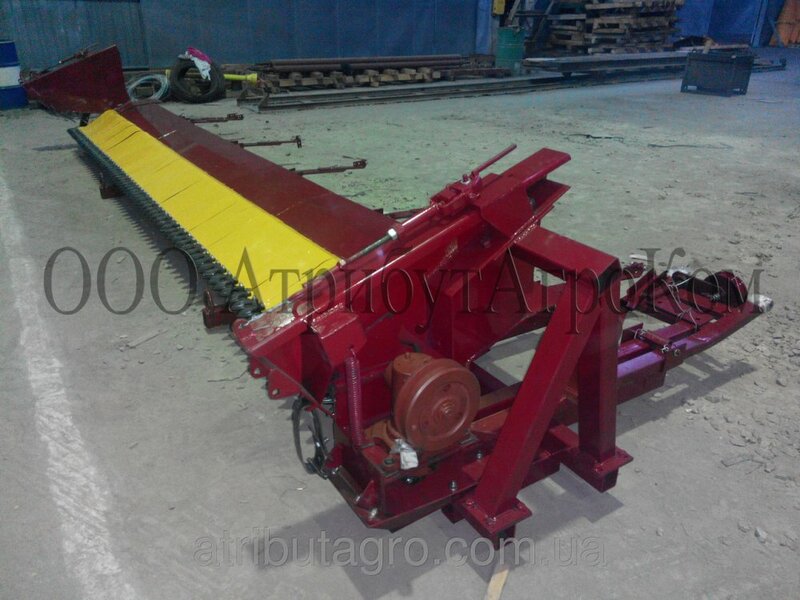 If you want to reduce losses when harvesting soy and to increase productivity for 20-30%, it is worth buying the device for soy (an analog of a harvester of Fleks) of production of Atributagro. Quality and guarantees of this producer will help you at the moderate price as fast as possible and to qualitatively remove the grown-up culture. 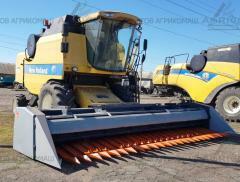 Unbelievable price on The device, set-top box for harvesting soybeans on a CCD Case Axial combines, Case in Berdyansk (Ukraine) company AtributAgro, OOO. Corn CORN MASTER corn harvesters vector Torum. Corn CORN MASTER maize New Holland, Claas. Corn header watered at Tucano, Torum.